Multiple deputies opened fire on an unarmed woman in a neighborhood full of children on Christmas break and they killed a 6-year-old boy. 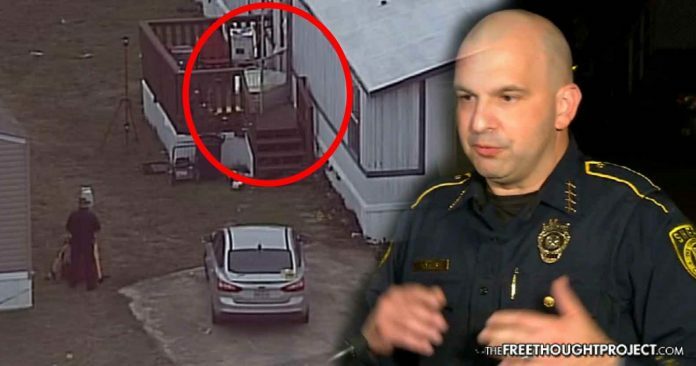 Schertz, TX — An unnamed 6-year-old boy, who had just begun his Christmas break this week, was killed by fearful police who opened fire on an unarmed woman. According to police, they were searching for a suspect wanted for an alleged car theft. Their target was a woman in her 30’s who had fled into a nearby mobile home park. The family is now in shock after their 6-year-old boy was shot in the abdomen by police as they opened fire on the female suspect. Sadly, the little boy would not survive his wounds. The deputies’ irrational fear and subsequent deadly and violent response ended as their rounds pierced the home in which the 6-year-old boy was playing, killing him. The woman was also killed on the scene.